Has your school ever been in a situation where hiring is so difficult that you can’t even fill your teaching staff, let alone your educational assistant and therapy staff? 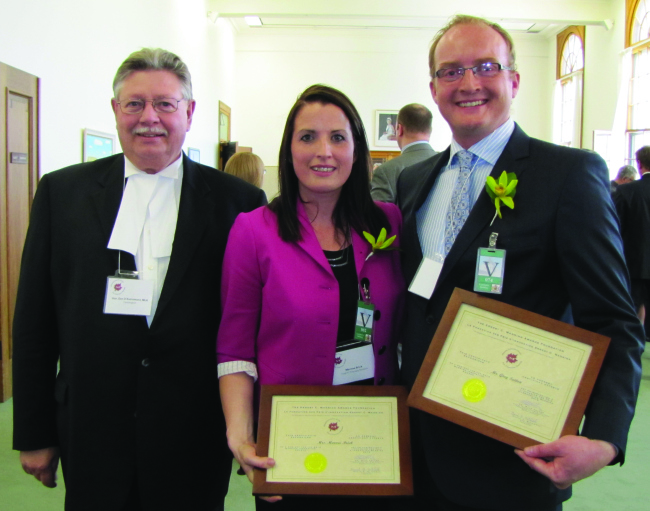 Such was the case in Wilmac, North Dakota in late 2013. Greg, TinyEYE’s CEO and Cofounder was speaking Director Shawn Huss about their speech and occupational therapy needs for the following year, when Huss mentioned that none of this could possibly work, as they did not have anyone hired to be the school’s EA. Greg quickly responded, “How about a robot?” and the future was born. 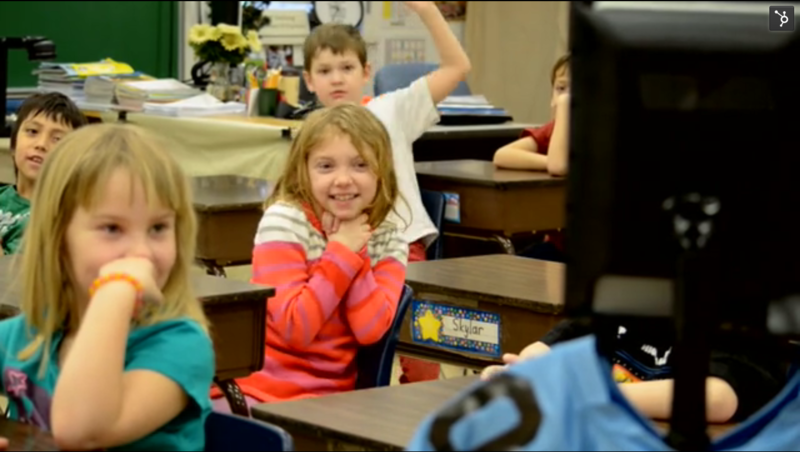 Wilmac schools have been using their robot to bring students back and forth from class ever since that day. “We ran into a few problems at first,” Greg stated, “One of which being that the teachers couldn’t actually tell when the robot was at the door to the classroom. No one could reach out and knock for it. This resulted in the robot’s driver actually driving the robot into the door repeatedly, until someone noticed that it was there. It was quite funny.” Since then, other methods have been taken to ensure that the classroom teachers are aware of the robot’s arrival. TinyEYE Therapy Services CEO and Co-Founder, Greg Sutton to speak at SXSWedu to showcase the use of a telepresent robot in the delivery of online speech therapy to schools across North America. 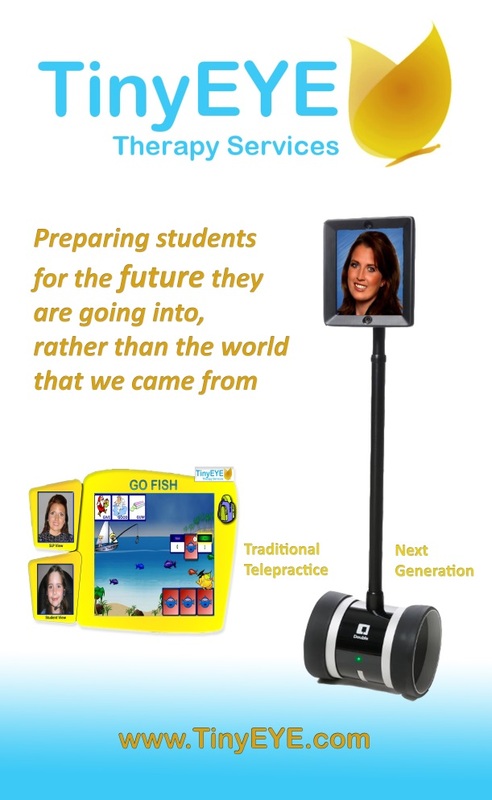 Austin, March 4, 2014 – TinyEYE Therapy Services is taking telepractice to a new level of educational innovation. They announced this morning their official partnership with Double Robotics, a California-based robotics company known for their telepresent robot. TinyEYE has begun using this robot in delivering their speech therapy services in Canada and the USA.